The Merc with a Mouth is back in all-ages fashion in Once Upon A Deadpool, a PG-13 version of this year's hit, Deadpool 2! We're happy to invite our DC readers to attend a free early screening of the film, which stars Ryan Reynolds and...Fred Savage. Fun for the whole family!?!? SYNOPSIS: Audiences of almost all ages will soon be able to enjoy the Merc with the Mouth's reimagining of Deadpool 2 filtered through the prism of childlike innocence. "Fox has been asking for a PG-13 basically since the start in 2006," Ryan Reynolds told Deadline. "I've said no since 2006. Now, this one time, I said 'Yes' on two conditions. First, a portion of the proceeds had to go to charity. Second, I wanted to kidnap Fred Savage. The second condition took some explaining..." Fred Savage will join Reynolds in new scenes for ONCE UPON A DEADPOOL in an homage to Savage's starring role in the 1987 bedtime-story classic THE PRINCESS BRIDE. Fred remarked, "while my participation in this film was anything but voluntary, I am happy to learn that Fudge Cancer will be the beneficiary of this shameless cash grab." 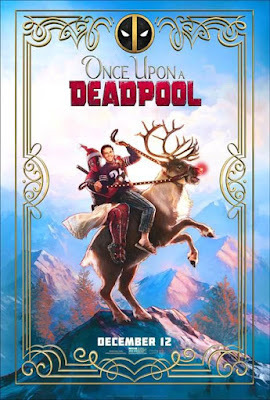 For every ticket sold, $1 will go to the charity Fudge Cancer - previously known as F*ck Cancer, who have graciously changed their name to be more PG-13 friendly for the 12 days of ONCE UPON A DEADPOOL’s release. The screening takes place on Tuesday, December 11th at 7:00pm at AMC Mazza Gallerie. If you'd like to attend, simply register at the Gofobo ticketing site here. Please remember that all screenings are first come first served and having passes does not guarantee entry. Expect to arrive early to ensure receiving a seat. Enjoy the show! 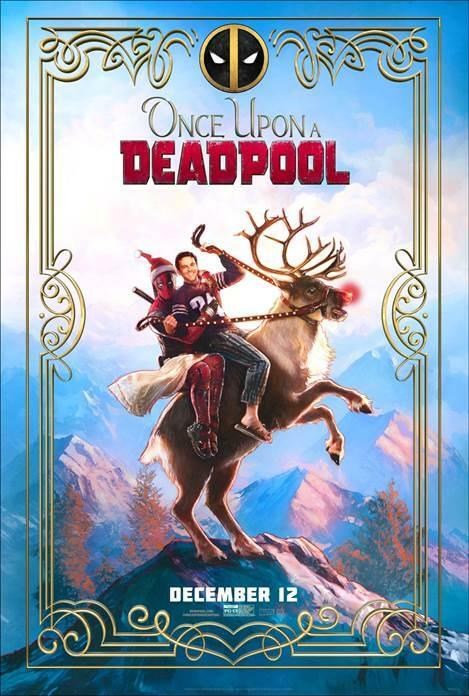 Once Upon A Deadpool opens December 12th.